Do you need airport accommodation? Auckland Airport accommodation at Kudos Apartments is affordable, immaculate and spacious - designed for the Business Traveller. Unlike many Auckland airport hotels, Kudos provides you with roomy 72m2 apartments - twice the size of your usual Motel - only 5 minutes from Auckland Airport. Accommodation at Kudos Apartments is unsurpassed for value and proximity to Auckland Airport. Hotels in this area can be over-priced and cramped, but Kudos provides some of the most modern, clean and spacious airport accommodation Auckland has to offer. are all included when you stay at our airport accommodation. The Big Yellow Bus - leaves from both Domestic and International Terminals - every half hour except between 2.00 am and 4.00 am - price $6.00 per person - drop off at Holiday Inn. 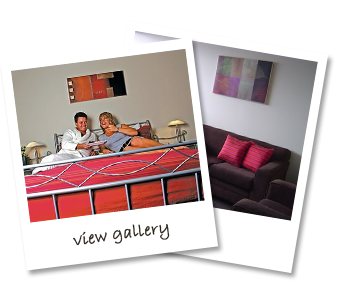 Auckland Airport accommodation at Kudos takes care of all your requirements when you travel through Auckland Airport. Accommodation is spotless and spacious, so spread out and enjoy your stay! And unlike pricier Auckland Airport hotels, Kudos provides roomy, competitively-priced suites – not the expensive and restricted rooms of some Auckland Airport hotels. With just 12 apartments, Kudos offers quiet and friendly accommodation. Auckland Airport tourists from all over the world love our spacious airport accommodation. Auckland locals and travellers love our clean, private spaces and our helpful, locally-savvy service. Kudos provides reliable, well-placed accommodation; Auckland Airport local apartments with all the space you need – Kudos delivers every time. With cheap flights to Auckland you can stay longer in one of our affordable accommodations. 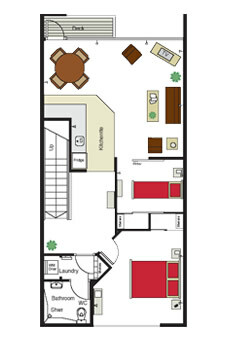 Our spacious apartments are designed to suit to the needs of a business traveller. We go out of our way to provide exceptional service. Here at Kudos Airport Apartments we pride ourselves on our exceptional service and hospitality.